Bay Area's Chef Faz to offer catering only in the wake of construction and renovations at 1111 Broadway. The philanthropic restaurateur will close his landmark store 9/28/18. Mayor Libby Schaaf and Oakland Chamber CEO Barbara Leslie share regrets. Landmark Restaurant Faz Oakland "Will Be Missed!" Loss of event space is driving the hard decision to close Faz Oakland. Having hosted six years of weddings, anniversaries, business events, birthdays, graduations, bat mitzvahs, bar mitzvahs, quinceañeras, family reunions and other celebrations at Faz Oakland, the Bay Area restaurant company regrets to announce as of September 28th, it will be closing due to landlord Broadway Franklin, LLC's renovations. "Faz Oakland has been dear to my heart as we have had the opportunity to serve Oakland residents and people from around the world who were guests at the Marriott, right across the street, " said Chef Faz Poursohi, owner of Faz Restaurants and Catering. "The landlord's renovations and construction plans will result in the loss of our event space making the restaurant no longer financially viable." "Faz Oakland grew into a landmark at 1111 Broadway," said Mayor Libby Schaaf. "For years, area businesses and residents appreciated the fine dining experience, unique ambiance, and accessibility of the restaurant, while local organizations benefited greatly from the philanthropic investments Chef Faz made in our nonprofit community." "On behalf of our Chamber members and Oakland business leaders we are sorry to see FAZ closing its doors, said Barbara Leslie, President and CEO of the Oakland Chamber of Commerce. "We have spent many lunch hours and early evenings at FAZ, discussing politics, entertaining new Oakland businesses and meeting friends. On every occasion we were welcomed with warmth, unparalleled hospitality and great food. Thank you for your commitment to Oakland. We will miss you." 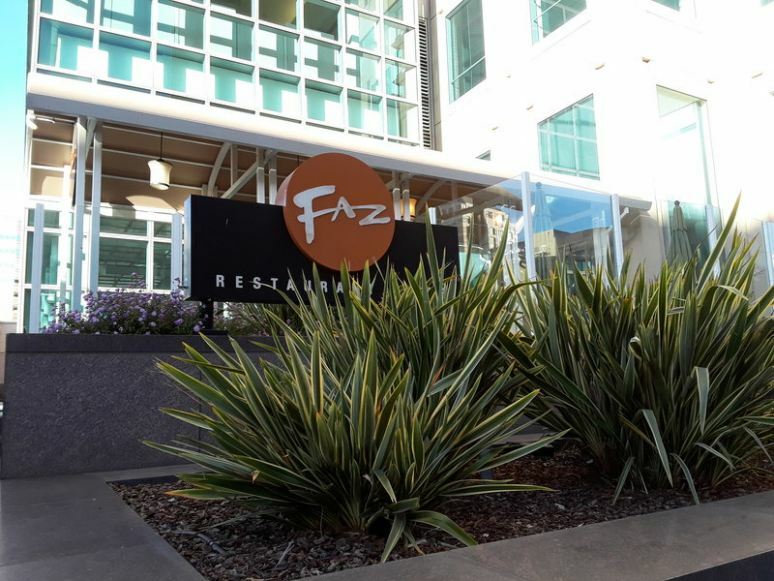 All the employees of Faz Oakland will be transferred to the other restaurant locations. Although Faz Restaurant and Catering will not have a storefront in Oakland, it will still be available for catering in Oakland. Nearby locations include Faz Danville at 600 Hartz Avenue and Faz Bakery & Coffee Bar at 221 Hartz Avenue. Faz Pleasanton is conveniently located at the Sheraton Four Points Hotel, 5121 Hopyard Road and Faz Sunnyvale is also well located at the Sheraton Sunnyvale Hotel, 1108 N. Mathilda Avenue. Faz San Jose near tech giants, shopping, and homes, is located at 181 E. Tasman Drive. In 2008, Chef Faz and restaurateur Chuck Frank bought the historic MacArthur Park Restaurant 27 University Avenue in Palo Alto, CA. Designed in 1918 by California's first female licensed architect, Julia Morgan, MacArthur Park Restaurant was originally a YWCA building that housed families visiting veterans after World War I. Chef Faz' history began with MacArthur Park decades ago; In 1981, Frank recruited Chef Faz to MacArthur Park from Chicago's restaurant giant Lettuce Entertain You, Inc. founded by Rich Melman. The University of Illinois College of Engineering, Chef Faz' alma mater is what originally drew him to Chicago. Growing up in Iran, loving food and cooking in his family's restaurants, Chef Faz was influenced to develop his restaurants with the concepts of "farm to fork" and "local and sustainable" cuisine long before the food industry trend. "Go to a farmer's market and smell the fresh herbs, grow or pick vegetables off the vine when you can. This is the inspiration behind cooking," Chef Faz has always believed. It is the philosophy on which he has based his success. Oakland Faz Restaurant hours are 11:00 a.m.-8:00 p.m. through Thursday, September 27th. The last day Friday, September 28th, the hours of operation will be 11 a.m.-3:00 p.m.
For more information about Faz Restaurants and Catering; Faz Bakery and Coffee Bar; and MacArthur Park, visit www.fazrestaurants.com. Oakland residents, contact Sandi Smith at 925.838.1430 or sandi@fazrestaurants for catering services. It's not too early to order catering for the upcoming holidays.